During the holiday season if you find yourself battling a sore throat, nothing is better than a hot, soothing tonic. This lemon and ginger healing tonic contains vitamin C for an immunity boost, ginger to open up the sinuses, and magnesium to calm and relax the body. 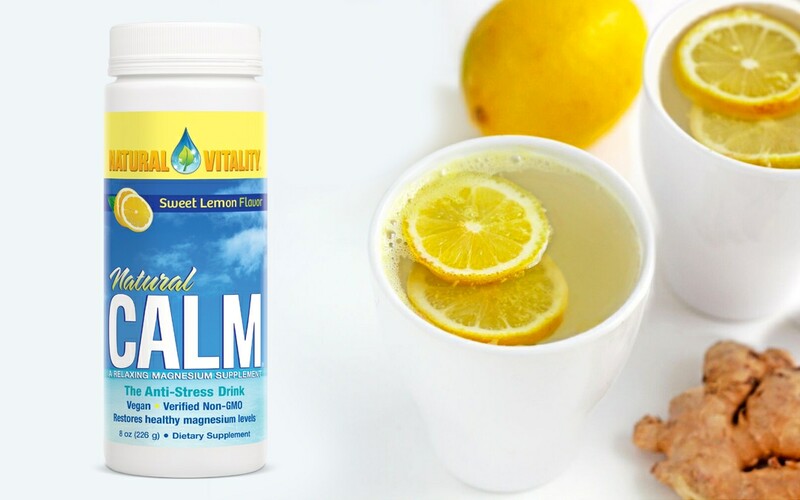 This drink is sugar-free and naturally sweetened with stevia from the Natural Calm, but you can also add raw honey for an antimicro- bial boost if extra sweetness is desired. Serves: 2 Prep time: 10 mins Cook time: 0 mins 1 teaspoon fresh ginger root, grated 1 tablespoon lemon flavor Natural Calm 1 fresh lemon, sliced 2 cups boiling water Raw honey, to taste (optional) Mix ginger and Natural Calm with boiling water and honey (if using), and add the lemon slices to the mugs. Serve warm.